The House on Wednesday approved President Obama's request to arm and train Syrian rebels in the fight against ISIS. With significant opposition to the proposal in both parties, the vote was 273 -156. More than one third of the House - 71 Republicans and 85 Democrats - voted no. Many Republicans argue the strategy isn't tough enough to defeat ISIS; many Democrats worry the plan could drag the United States into another long military engagement. The proposal would authorize the Pentagon to provide assistance to "appropriately vetted" members of the Syrian opposition and require the administration to give Congress a detailed plan for helping the rebels before that assistance could begin. The Senate will vote Thursday on the proposal. 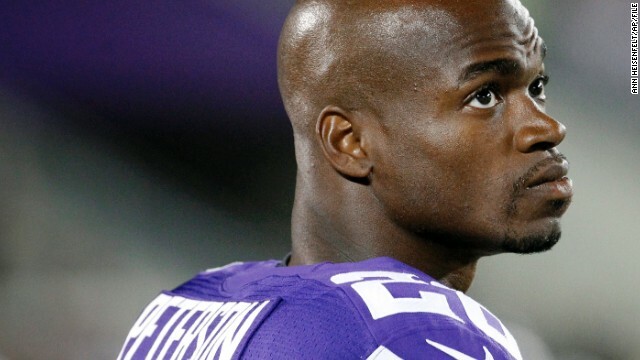 A former coach of Adrian Peterson's is speaking out and defending the player. On "New Day" Thursday, Steve Eudey told CNN's Michaela Pereira that he 'doesn't understand' how Peterson is being lumped together with other NFL players for abuse. “Adrian was disciplining his child. In my opinion, that is a difference than physically whipping a woman or a child … going overboard on discipline is not the same thing as hitting somebody with your fist and knocking them down," he said. Eudey cited Peterson's "track record of kindness to people in general," and said he feels Peterson was disciplining his child and it may have gone too far. “Adrian knows right from wrong," he said. The House approved President Obama's plan to arm and train Syrian rebels yesterday and the Senate may vote as early as today on the same measure. But who are these fighters that may get funding and weapons and can they defeat ISIS on the ground? On "New Day" Thursday, we spoke with a former general of the Free Syrian Army, Salim Idriss, on whether the FSA is strong enough to defeat ISIS and continue to battle the Assad regime. Idriss feels confident the FSA can take on both targets, despite the fact he himself was voted out of power from the FSA for suggesting the rebel group work with the U.S. against ISIS in the past. The rebel leader said the group will need resources and training to be able to battle ISIS but agreed with President Obama that U.S. ground troops are not needed. “We just need the support,” he said. Idriss had confidence that with the help, the FSA "can train many, many groups at the same time" in Syria, telling CNN’s Chris Cuomo that they could train 5,000 more troops in about two months. For context, that number would double the force as it stands now. “It is important now to train the fighters, to unify them,” he said. Do you support President Obama’s plan to arm and train the Syrian rebels as a means to defeat ISIS on the ground? Let us know what you think.